Reiki (pronounced RAY-kee) is a gentle, non invasive Japanese technique for stress reduction and relaxation that also promotes healing. Reiki is a foundation practice that enhances other treatments - like having a first aid healing kit in your hands. Susan began practicing Reiki in the mid-1990s and earned her Reiki Master level in 1998. Susan continues to deepend her understanding of natural healing as a student of Donna Eden Energy Medicine, The Equine Touch and TTouch. Susan offers in-person and remote Reiki energy sessions for animals and humans, and Reiki classes in the upstate NY area. 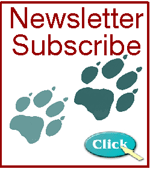 Consider treating yourself or your animal friend to this gentle yet powerful healing modality. Please visit our Consultation Page for fees & scheduling. Reiki is a gentle yet powerful energy practice that is easily learned by anyone with the desire to become a Reiki practitioner. Classes are fun, and include manual, certificate of completion. With smaller classes, participants have plenty of individual support and give and receive a full Reiki healing session. Susan teaches classes year round in Saratoga Springs NY, and by invitation in other regions. In addition to Reiki for humans, Susan offers classes in Reiki for horses and small animals - for veterinarians, trainers, rescue volunteers and animal caregivers. Please visit our workshop page for Reiki class dates and details. 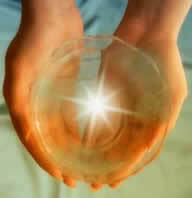 Reiki (pronounced RAY-kee) is a form of hands-on, natural healing, thought to enhance the universal life force energy. The term comes from the Japanese words "rei" (universal or spiritual) and "ki, the vital life force that flows through all living beings. This gentle and powerful healing is not a religion, though its roots and ethics are spiritually grounded. Reiki began in Japan in the early 1900s under the guidance of Dr. Mikao Usui. It's now practiced worldwide, in private homes, hosiltals and progressive veterinary practices. Reiki is democtratic, affordable and available to all. Once learned, the student has Reiki for life. Reiki helps empower the person or animal to find balance, physically, emotionally, mentally, and spiritually and helps the body access its inner doctor. Reiki is widely used in hospital settings - including Dr. Mehmet Oz's heart surgery unit at New York's Columbia Presbyterian Hospital. Oz, whose wife, Lisa, is a Reiki Master, called Reiki "my favorite treatment that could change the future of medicine forever."